I read The One and Only three years ago as soon as it was released, and I loved it! If you’re a sports fan, more specifically a football or college football fan, you’ll relate to the underlying theme of The One & Only instantly. Walker, Texas is a small college town whose residents live and breathe college football. The Walker Broncos are a cornerstone in the close-knit community, and Coach Clive Carr is just as important if not even more than the team itself. Shea Rigsby spent her entire life – growing up, attending college, and working her first (and only) professional job – in Walker. Football – more specifically, Walker football – is in her blood. Her passion kept her in her small hometown, but at 33, after tragedy hits Walker, Shea begins to question if her life decisions are enough. As she expands her horizons, she discovers and is forced to come to terms with some unsettling truths about the people and team that had been a constant in her life. I’ve always admired how Emily Giffin explores relationships. She flips the coin and allows the reader to see things from a point of view that may not be the popular opinion. But she gives that side of the story a voice – a legitimate voice – that proves nothing in life is black and white. Like she has in her previous six novels, Emily Giffin examines human nature from an interesting perspective. She takes the game of football and transcends it into a metaphor for life. If you never played sports or have never been a sports fan, The One & Only may be difficult to relate to. I’m not from Texas. South Jersey isn’t even close, but I was an athlete in high school and I’m still a proud fan of both my high school and college alma maters so I had an instant connection to Walker and the impact the college football team had on the community. As we head into fall, The One & Only is the perfect book to add to your reading list. If you’d like reviews like this sent directly to your inbox, click here to sign up for my weekly newsletter. I’ve always considered myself quite lucky to have many fond memories from my childhood and adolescence. I’m very nostalgic, and I love pictures. I have albums and albums of pictures from middle school and high school (when digital pictures were essentially non-existent). Many times, as I go on a cleaning binge in the spare room, I get side tracked flipping through at least one if not more of those photo albums. It was the summer my friends and I were 15. We were rising sophomores in high school. It was the end of childhood and the beginning of young adulthood. We were young enough to not (legally) be allowed to work too many hours in a week, but old enough to be out all day at the beach and then find our way to the boardwalk or a friend’s house in the evening. Ocean kayaks, salt air, first love, coconut scented tanning lotion, run the bases, Oakley sunglasses, body surfing, snacks from Loretta’s, brilliant sunshine, humid nights…it’s all in the album – a perfect montage of that summer. It’s been a few weeks since I returned the album to it’s place under the bed in the spare room. 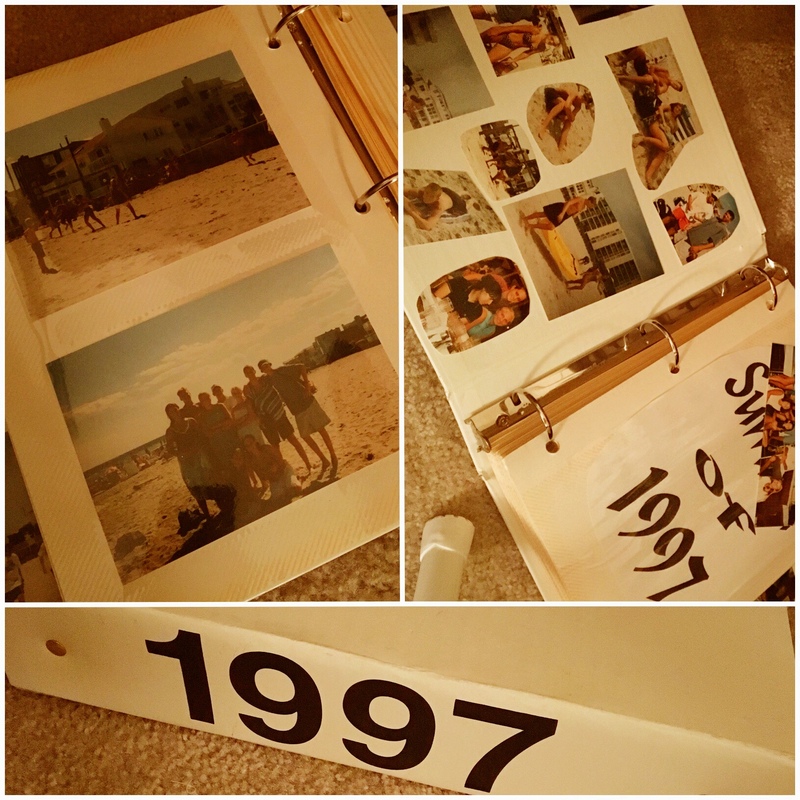 Since then, I’ve thought back to the days on the beach, evenings on screened in back porches, and nights at the boardwalk from 20 years ago. That summer is still so vivid in my mind. Looking back, I guess it’s easy to see why. While those summer months may have only been a snip of time over the course of our lives, it was when we were coming of age. We forged an unbreakable bond as we saw each other grow from kids into young adults. That summer was special; it was significant to our young lives. I hope my memories never fade. I’m not sure I realized how crazy I was when I decided to sign up for a half marathon while Baby D was still an infant! 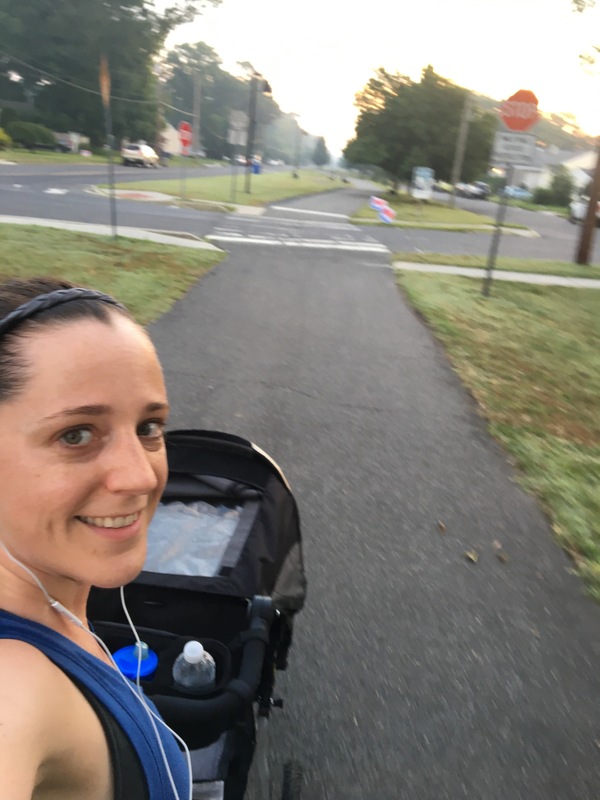 In my head, I thought he’d be sleeping through the night, completely cooperative when I needed to run, and most importantly, I never dreamed pushing a jogging stroller would intensify a run like it does. I know. I know. Feel free to laugh hysterically at my naivety. Rookie mom mistakes. All rookie mistakes. I’ve come to learn that a great night’s sleep for me is 6 – 7 hours with some sporadic middle of the night cries from Baby D. I’ve found that an 11 month old has a personality of his own and sometimes, sitting in the stroller isn’t on his agenda. And more importantly, I’ve gained a new respect for all the parents I’ve passed through the years pushing their toddlers (sometimes in a double stroller)! While finding the time to run hasn’t been as easy as I hoped it would, I have no doubt that the minor ups and downs I’ve experienced so far in my training will help in the long run. My fitness level continues to improve (we just did a 4 mile stroller run on Sunday) and most importantly, with every day that I push myself a little more to make training work, I get stronger. I feel my mental toughness grow, which I hope will help me during the 13.1 miles in October and for the rest of my life. Have you ever pushed yourself to do more than you thought you could? Did it make you stronger? I love to hear about! 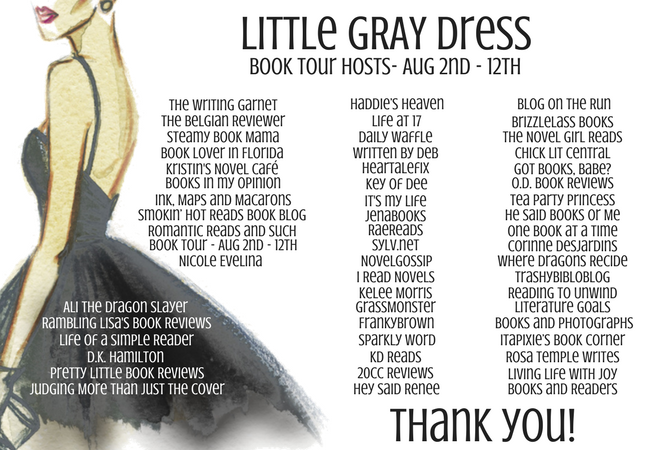 I’m so excited to be a part of the book tour for Aimee Brown’s debut novel, Little Gray Dress! 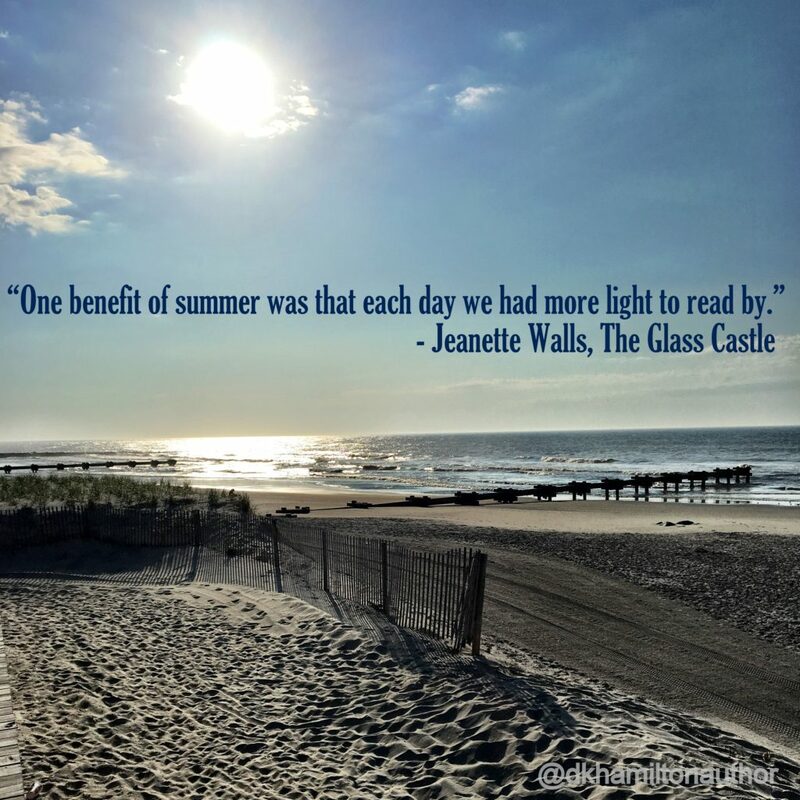 When I read the excerpt a couple months ago, I knew it would be the perfect summer read! Emi Harrison has avoided her ex-fiancé, Jack Cabot, for nearly two years. Her twin brother Evan’s wedding is about to end that streak. From bad bridesmaid’s dresses, a hyperactive sister-in- law, a mean girl with even meaner secrets, and too much to drink, nothing seems to go right for Emi, except when she’s wearing her little gray dress. When she speed-walks into Liam Jaxon’s bar, things get more complicated. He’s gorgeous, southern, and has no past with Emi. He may be exactly what she needs to prove for the last time that she doesn’t need or want Jack! Emi Harrison’s world came crashing down around her just days before her wedding when she found her fiance, Jack Cabot in a compromising situation with his assistant. After high-tailing it out of Portland, she managed to steer clear of Jack for two years. That is until her brother’s wedding to Jack’s sister. While it’s been two years, it’s obvious Emi is still in love with Jack…even if she won’t admit it to herself. As she returns home to Portland, Emi goes on an emotional roller coaster as she sees Jack for the first time since their break-up and is forced to meet his new fiancée. Through the twists and turns of the wedding weekend, truths from two years ago come to light, and Emi begins to see things were not entirely how they seemed. I truly enjoyed this book. There are charismatic supporting characters that add to the story. Aimee Brown’s wonderful characterization makes everyone feel like an old friend! Make sure you have Little Gray Dress on your summer reading list! It’s available on Amazon and Barnes and Noble. 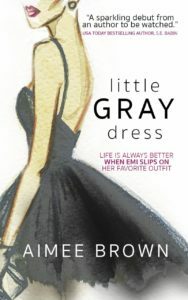 When I read the excerpt of Little Gray Dress, I wanted to hear more about the inspiration. I was so happy to interview Aimee to hear a little bit more about her and what inspired her to write her debut novel! When did you first realize you wanted to write a book? I knew I wanted to write a book about 10 years ago. One day, long ago, while my kids were calm (lol) I for some reason sat down and started writing. I ended up with a story and I was shocked how much fun it was to create. After that I enrolled in school to earn my English/Creative Writing Bachelor’s Degree and an instructor of a creative writing class loved just about anything I wrote so, I figured maybe I’d found my calling. It only took 10 years to finally find the story that wanted to surface all the way to the magical words, the end. Have other authors inspired you to write? If so, who? SO, many. Obviously, like every other chick lit lover on the planet, I adore anything by; Sophie Kinsella, Meg Cabot, Emily Giffin, Candace Bushnell, Janet Evanovich and right on down the list. Indie authors are amazing too. There are so many I admire that I’d hate to list them and forget someone! Where do you like to write? At home? An office? Coffee shops? Somewhere else? For the most part I write at home. Half of my living room is an office/dining room combined so I write until my heart is content and never feel like I’m missing out on the action of the family. Once in awhile I’ll head to a coffee shop in an attempt to write. Normally, though, I find myself distracted and more interested in my surroundings and eaves dropping… so, I do most of my writing at home. Do you have any writing process that you follow? For instance, do you outline your plot first or do you dive in to brainstorming and writing? I have zero processes. LOL I’m not a big planner when it comes to my own life even though I’m like the organizing queen. I’m a total panster and I never go into a story with any kind of idea where it might go. Generally, I’ve been getting to know my characters in my head for a few weeks before I’ll sit down to write so they pretty much drive the story. More often than not though I seem to get stuck at a dead end and know that it probably wasn’t the story quite ready to be written yet. Needless to say, I have a lot of people talking in my head at all times! The challenge is, not talking back when I’m in public. What was the inspiration behind the story of your debut novel, Little Gray Dress? I love weddings and fast moving stories. Besides that, there wasn’t much that really pushed Little Gray Dress in to becoming what it is. I wrote it during NaNoWriMo 2016 and pushed myself to write 5000 words a day. I was determined to finally get a book completed. I had too! Time was ticking and I was getting impatient with myself. When I finally hit the end I was amazed! I’d done it! I’d written an entire story. And even though I wasn’t completely happy with it (it was nothing like it is now) I knew I could work with it and turn it into something great. I’m always afraid to answer this question! The first draft took me 10 days. The second draft took me a couple weeks. The third draft, after my beta readers got me their thoughts, only took a couple more weeks. You could say when a story finds me, I’m ready to knock it out quickly. I also have older kids who are completely self sufficient so I have a LOT of time to sit and write. That helps move things quickly. What is one of your favorite books you’ve read recently? Oh, gosh. I just finished I Have Never by Camilla Isley. I’ve adored every single one of her books. This latest one is no exception. There is just something about Camilla’s writing that I can’t seem to get enough of! I do watch some TV, lay in the sun (bad, I know! ), shop, decorate and redecorate my house and walk some of the local parks in the evenings. I’m pretty low key and a total homebody. Thanks Aimee for taking the time to answer my questions and including me on your blog tour! On another note, if you’d like book reviews like this delivered directly to your email, sign-up for my weekly newsletter here! I can’t believe the calendar turned to August this past Tuesday. This summer has just flown by. It really seems like a blur so far! Today, I was so thankful for a few moments of peace and quiet on the beach. It was so nice to sit back and listen to the waves crash before a crazy work week starts tomorrow. Looking ahead to the end of the week, I’m excited to have a book review of a new release for you to read! It’s Aimee Brown’s debut novel, Little Gray Dress! It’s chick lit at its finest and the perfect book for the end of summer! How has your summer been so far? Busy or relaxing? As I have mentioned before, Emily Giffin is one of my favorite authors. So this week I have two more of her books to share with you! Heart of the Matter and Where We Belong are Ms. Giffin’s fifth and sixth novels. Like all of her previous books, she takes on tough life situations with an interesting perspective. I hope my reviews do them justice and you give them a try! I admit I held off on reading Heart of the Matter for well over a year after its release in 2010 despite being an Emily Giffin fan. The synopsis seemed different from her other books, and I read multiple reviews that weren’t as glowing as the ones for her previous four books. However, I’d been hooked on her writing style since I had read Something Borrowed. She has the innate ability to eloquently portray real life circumstances through the actions of her characters. I know many authors (if not most) exhibit the same skill set, but what I’ve found separates Ms. Giffin from the rest is her knack to not necessarily turn the tables of right and wrong or good and bad, but illustrate how good people with no ill intentions can do the wrong thing. Heart of the Matter is no different. Tessa and Valerie are two mothers living in the Boston area with little in common until one night, an accident intertwines their lives and flips both of their worlds upside down. Unlike her first four books, Heart of the Matter is told in alternating points of view delivering the story of these two women as they are forced to examine their lives, decisions they’ve made, and what is the heart of the matter. 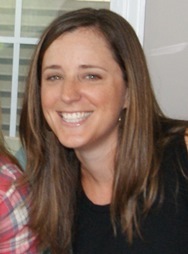 At 36, life is pretty close to perfect for Marian Caldwell. Her successful career as a television producer and stable, long term relationship has everyone – including herself – convinced life cannot get much better. However, one fateful night, life changes for Marian when 18 year old Kirby Rose knocks on her door. Marian and Kirby travel down an emotional road stirring memories – filled with a young love affair and secrets – Marian thought were buried and forgotten long ago. Together, both women learn about each other, but more importantly, their journey forces Marian and Kirby to look deep inside themselves and learn who they are. The storyline of this novel is different than the other Giffin novels I read. However, I wasn’t disappointed; like always, her writing delivered. In fact, with each of her novels I read, the clearer it becomes what talent she has for capturing tough life-changing decisions and characterizing the dynamics in a wide array of relationships. As we all know, life is full of tough decisions. From the outside looking in, it’s always easy to judge what’s right and what’s wrong. However, Giffin so eloquently flips that perspective. What is the rationale when we have to make that decision? The lines between right and wrong are easily blurred, and we’re left to make decisions and live with the consequences. As Giffin challenges her readers to look beyond the moral boundaries of right and wrong, Kirby challenges Marian to unlock doors from her past so they can both find where they truly belong. 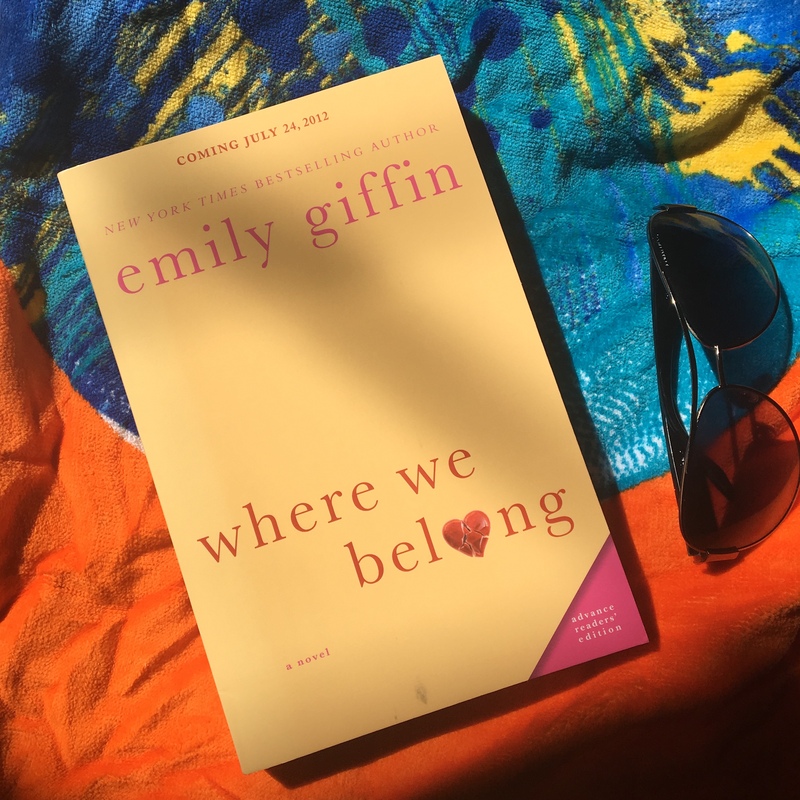 One fun fact about Where We Belong…I received an advanced signed copy from Emily Giffin! I hope you put both Heart of the Matter and Where We Belong on your reading list! If you’d like book reviews like this sent directly to you each week, sign-up for my weekly newsletter here! I haven’t been blogging as much as would like, but I’m hoping that changes in the coming weeks. 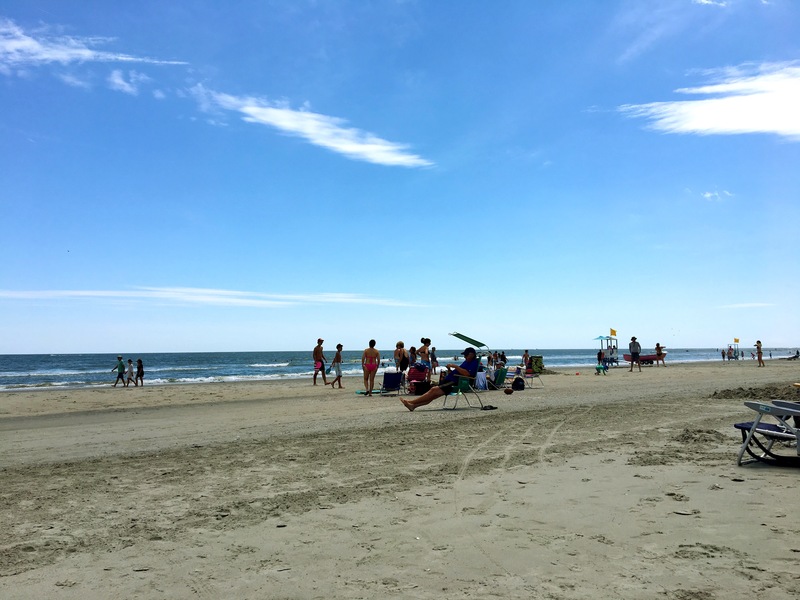 Summer is such a fun time of year, but somehow, all the fun makes things very busy, and blogging has fallen through the cracks. Another factor that has made my schedule a little fuller than usual is I’ve officially started training for my first half marathon! I’m excited, anxious, and apprehensive all at once. However, it’s a challenge I’ve thought of doing for almost 10 years, and ever since I completed a 10k in 2014, the desire has been even stronger. I guess I should rewind a bit…back to January of 2014. I felt like I was in a rut. Life was great, but I felt like I was stationary. I wanted a goal; I wanted a challenge; I wanted something to invest myself in. So I signed up for a Saint Patrick’s Day 5k race. I never dreamed the 8 weeks leading up to that 5k would change my life. (No, I’m serious.) I had been an athlete as a kid and right on up through high school. Then I remained active – went to the gym, did kickboxing DVDs, jogged occasionally on a beautiful day. But in those 8 weeks during the winter of 2014, I became a runner. I learned as a runner, it’s only me and the road ahead. When I needed a challenge, I was up against myself. Could I run faster than last week? Could I top my pace from my last run? Could I run further than I have before? The reward was finding I could do something I never thought I could. After that first 5k on a windy, but sunny morning in March of 2014, I ran several more 5ks during the spring and summer, and trained to run a 10k that October. Prior to signing up for the 10k (6.2 miles), I had never ran more than 3.5 miles at one time. And to be honest, I didn’t think I had it in me to run more. The training was hard, but the joy and triumph I felt as I crossed the finish line after running 6.2 miles was unlike anything I’ve ever felt. I challenged myself to do something I had never done, and I succeeded. 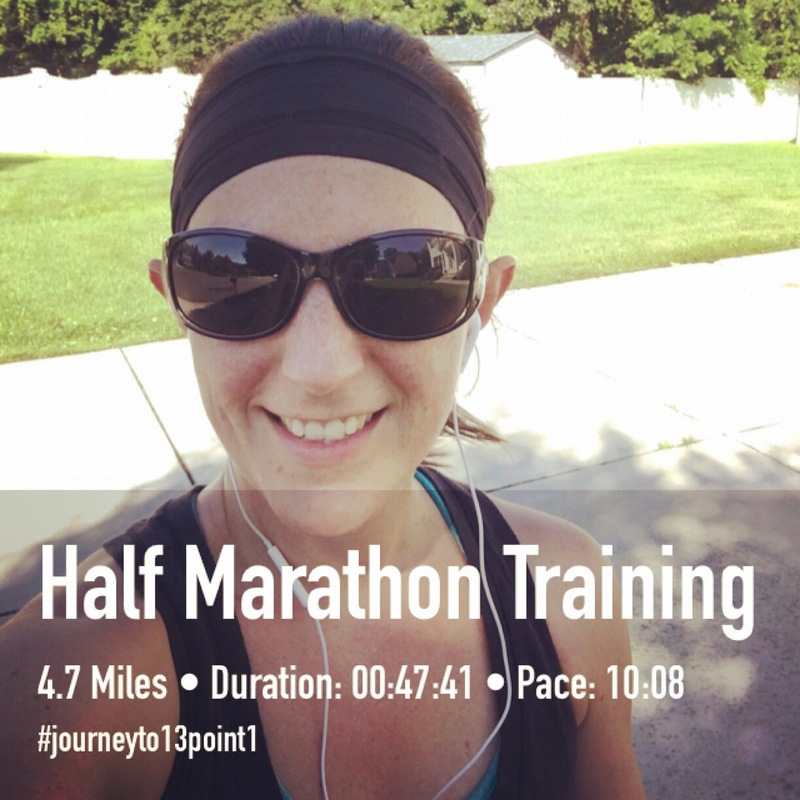 I know most of you found my blog because of my writing, but I hope you’ll enjoy following along my personal running journey as well. I hope it inspires you to challenge yourself (even if it’s not running or physical activity of any kind)! The reward of accomplishing something you thought you couldn’t is amazing and it ripples through to all aspects of your life. Yesterday, I finished the first two weeks of training, and I’ll be honest – I didn’t get off to the start I would have liked. However, while I haven’t been able to stick to my training plan every day, I’m happy that my weekly miles are increasing and I’ve completed each week’s long run. When I get discouraged, I keep my eyes on the road ahead because every day is a part of my journey to 13.1 miles. Over the past few years, Jill Mansell has become one of my go to authors. Whenever I’m in need of a new book and I don’t have one in mind, I search the Kindle store for one of hers and I’ve never been disappointed. 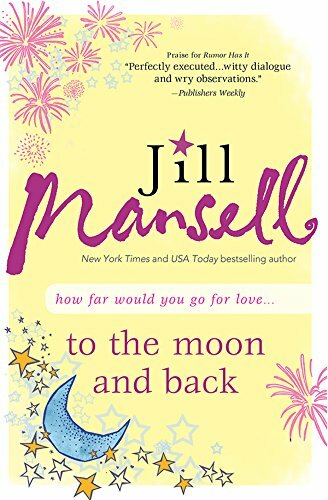 To the Moon and Back is the fifth novel I’ve read by Jill Mansell, and like all of her others, I was thoroughly entertained with her witty humor and storytelling. What would you do if the love of your life was tragically killed? Could you pick up the pieces and move on? Unfortunately, Ellie Kendall finds herself in that situation when her husband dies in a car accident. A year after his death, she realizes she needs to move out of their flat which had suddenly become rundown by low income tenants and find a new job with colleagues who won’t look at her as though she’s about to break at the drop of a hat. With her move across town, Ellie finds a new friend in her new neighbor, Roo – who is true to form to all of Mansell’s supporting characters. She’s a former pop star diva, once mistress turned do-gooder to pay for her sins. Her new job? It’s perfect. She lands a job as an assistant to Zach McLaren – a successful entrepreneur. Like all of Mansell’s novels, there’s twists and turns along the way and nothing is ever as straightforward as it seems to Ellie. As she heals and starts to move on with her life, she faces opportunities that force her to decide if she’s really ready to jump back into the dating pool. Whether it’s your first or fifth Jill Mansell book, you won’t be disappointed. It’s perfect for a warm summer day by the pool or a perfect one to save for those early, chilly fall nights at home. If you’d like to receive book reviews like this by email, sign-up here for my weekly newsletter! As you can probably guess by now, Emily Giffin is one of my favorite authors. So this week I have two more of her books to share with you! Baby Proof and Love the One You’re With are Ms. Giffin’s third and fourth novels. Like Something Borrowed and Something Blue, she takes on tough life situations with an interesting perspective. I hope my reviews do them justice and you give them a try! Growing up, most girls dream of becoming a mom one day, but not Claudia. It was never in her plan. Now, as a successful book editor, she couldn’t be happier to have found her husband Ben, who shares her “no kids for me” philosophy…that is, until his biological clock starts ticking. She loves Ben, but a baby was never part of Claudia’s life plan so she moves out and ultimately agrees to a divorce. Claudia begins to live the single life again living with her college roommate and starts a steamy love affair with her colleague, Richard. However, when she suspects Ben has found a new, young love interest to perhaps bear his children, Claudia begins to doubt her decision. Like all of Giffin’s novels, Baby Proof tackles tough life decisions, and drives home the point that some decisions don’t have a right and wrong. “There are trade-offs and sacrifices” in life, and there comes a point when you have to realize nothing is perfect. We can have the best laid plans for our life, but sometimes, we have to change our plans. As I said, I wasn’t sure what to expect with this book given the subject matter, but like always, Giffin intertwines a few subplots with her strong character development to make Baby Proof a page turner until the very end. When I hear the phrase “love the one you’re with,” I automatically think settling. I wasn’t sure what to expect with the plot of this book, but once again, Ms. Giffin didn’t disappoint me. 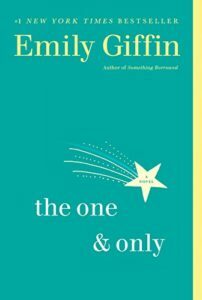 In fact, Love the One You’re With is one of my favorite Emily Giffin books! Not long after her wedding, Ellen has a chance encounter with a past love, Leo, and afterward, she’s left wondering whether her life with her husband Andy is truly what she wants or if it’s what she has decided to settle for. When Ellen and Andy move from New York City to the suburbs of Atlanta for Andy’s career, her internal battle intensifies with resentment. As Ellen’s marriage begins to fall apart, she’s forced to choose between the life she has with Andy and the life she thought she lost long ago with Leo. What I loved most about this book even more so than the other three books I read by Emily Giffin, was how real it was. Whether or not you’ve been in the same situation as Ellen or not, I think most readers will be able to identify with her internal battle. We all know what’s “right,” but sometimes we can’t help but wonder what if. The what if may not be better and we know that, but yet we still wonder. As Ms. Giffin so poignantly says “it’s simply human nature to have an occasional, fleeting interest in someone whom you once loved.” But is pure human curiosity enough to take a leap of faith? Love isn’t straightforward. “Things are seldom as neat and tidy as that starry-eyed anecdote” shared with family and friends. Love isn’t a constant fairy tale painted with romance day in and day out; it’s a “choice to commit to something, someone, no matter what the obstacles or temptations stand in the way.” Ms. Giffin illustrates this so well with her innate ability to characterize raw human emotion as she tempts her heroine and poses the age old ethical question: do you stray or do you love the one you’re with? I hope you enjoy both of these books as much as I did! 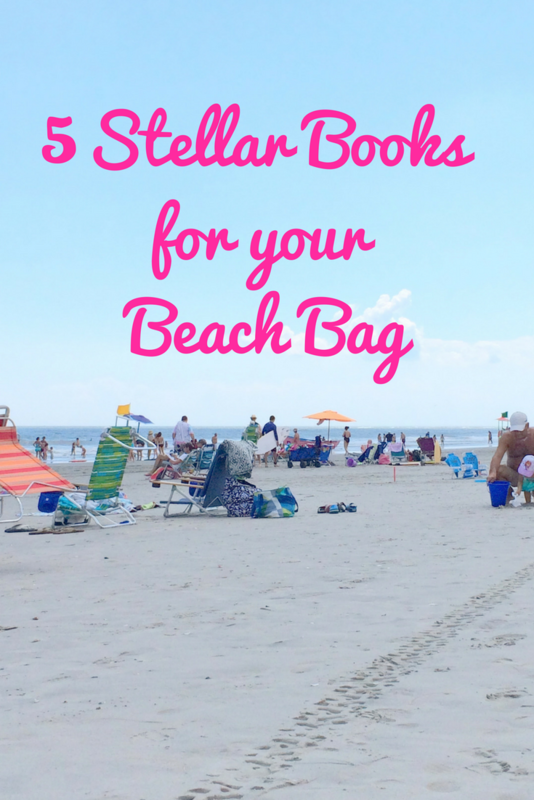 Load them on your Kindle and head to the beach or the pool for an afternoon of some great reading! If you’d like book reviews like this email directly to you each week, sign-up here for my weekly book review newsletter!